Kevin, Samm, and Jaime gather at the Dynasty Typewriter Theatre for the final episode of the Chat Show. "Better Things" co-creator, show runner, director, and star Pamela Adlon is our guest. Ten glorious years of chatting... Where the hell did the time go? Our second-to-last show, recorded live at the Dynasty Typewriter Theatre, features farewell videos from superstar past guests, plus Samm and Jaime back as sidekicks and special guest Jim Jefferies! A long-time pal (and adored by all longer still), Bonnie Hunt shares an origin story with Kevin that's equal parts big family working class hardships, a sense of "I'm not worthy", and shining in the company of greatness.This episode is brought to you by Dollar Sock Crew (www.dollarsockcrew.com code: CHATSHOW). James Roday returns to the Chat Show to share his memories of meeting Kevin, as well as another "Psych" movie, and directing the "Treehouse" episode of a new scary anthology series from Hulu called "Into the Dark".This episode is brought to you by Dollar Sock Crew (www.dollarsockcrew.com code: CHATSHOW) and Billions on Showtime (www.showtime.com code: chatshow). Ashley Tisdale discusses life as a pre-teen actress, as well as the jump to fame hyperspace from High School Musical. She also shares everything weird and wonderful that happens in that thin, rare air of success.This episode is brought to you by Billions on Showtime. Comedian and actor Brian Posehn journeys from Sacramento to the SF Bay Area for stand-up comedy, and ultimately joins forces with alt comics in LA. Stories from the Bob & Dave show are crazy amazing as well. Gary Gulman shares his humble beginnings, and the tricky path that led to his current standing as one of the top touring stand-up comedians in the country. Host and undeniable master of his domain Jon Taffer shares his origin story, as well as bizarre details from his hit show "Bar Rescue". UCB co-founder and "Veep" co-star Matt Walsh IS a damn funny fella. He shares a more serious side, and Kevin gladly takes the trip. Katie O'Brien and Katy Colloton share hilarious and, damn it, inspiring stories about their path to co-creating and co-starring in the hit TV Land series "Teachers". The forever extraordinary and gainfully employed Constance Zimmer tells Kevin what kind of sweet hell she's been through along her path. Star of the thrilling crime podcast "The Angel of Vine", Joe Manganiello shares tales from his early days in Pittsburgh, as well as the making of this new audio hit. Mike Zegen spills all he's learned and enjoyed from playing "Joel Maisel" on the multi-award-winning Amazon series, "The Marvelous Mrs. Maisel". Comedian Chris Fairbanks joins guest host Samm Levine for a lively chat about hip replacements, anger issues, and Canadian reggae singers. Actress, host, podcaster and personality Clarke Wolfe stops by to chat with guest host Samm Levine about geek culture, trusting your gut, and why New York isn't for everyone.This episode is brought to you by BETDSI (www.betdsi.com code: CHATSHOW). Wildly successful comedy film director Peter Segal talks about how to achieve his creative goals while directing huge comedy stars like Adam Sandler and others.This episode is brought to you by BETDSI (www.betdsi.com code: CHATSHOW). Long-time genius Chris Elliott shares more insights into his particular brand of humor than is legally allowed in most states. Jimmy Pardo and guest host Samm Levine talk about throwing out the first pitch at a baseball game, Wikipedia, and Jimmy's latest podcast, "Playing Games". This year's generous helping of Thanksgiving leftovers includes a bona fide Chef! 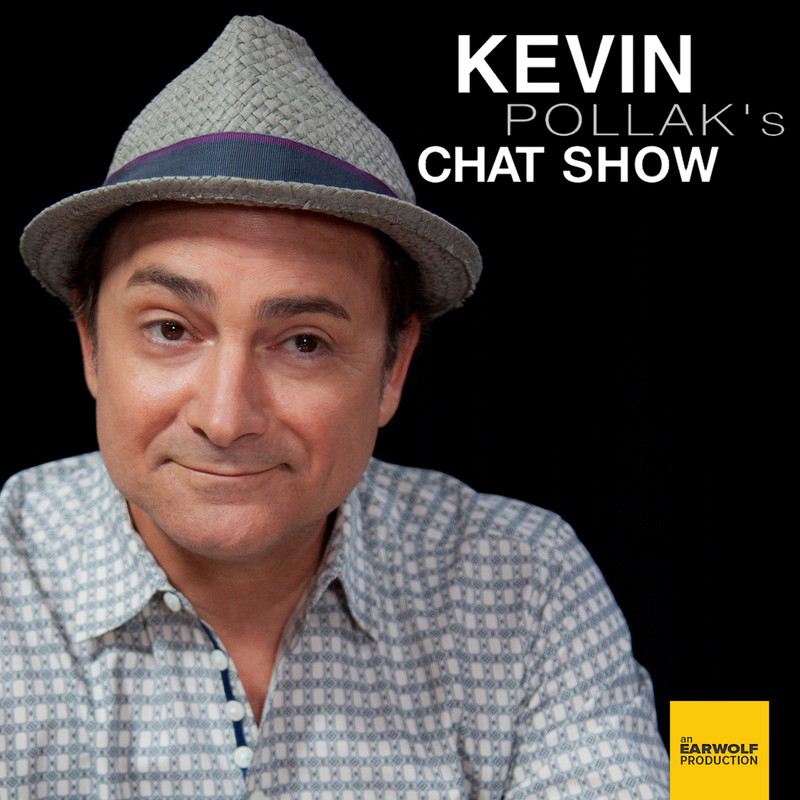 Venture back with us to the year 2013, when Kevin sat down with actor-turned-everything Jon Favreau!